Strawberry bush euonymus (Euonymus americanus) is a plant native to the southeastern United States and categorized in the Celastraceae family. Growing strawberry bushes are referred to by several other names including: hearts-a-busting, hearts filled with love, and brooke euonymus, with the former two a reference to its unique blossoms resembling tiny breaking hearts. 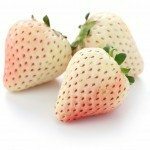 What is a Strawberry Bush? Strawberry bush euonymus is a deciduous plant with a thicket-like habit of around 6 feet tall by 3 to 4 feet wide. Found in forested or woodland areas as an understory plant and often in swampy areas, strawberry bush has inconspicuous cream-hued blooms with 4-inch serrated leaves on green stems. The plant’s autumn fruit (September through October) is the real show stopper, with warty scarlet capsules that burst open to reveal orange berries while the foliage morphs into a yellowish green shade. Now that we have nailed down what it is, learning how to grow a strawberry bush appears to be the next order of business. Growing strawberry bushes can occur in USDA zones 6-9. The plant flourishes in partial shade, preferring conditions similar to those of its natural habitat, including moist soil. As such, this specimen works well in a mixed native planted border, as an informal hedge, as part of woodland mass plantings, as a wildlife habitat and for its showy fruit and foliage in the autumn. Propagation is attained by seed. Seeds from this Euonymus species need to be cold stratified for at least three or four months, either wrapped in a damp paper towel, then in a plastic bag in the refrigerator or naturally stratified just under the surface of the soil outside during winter months. 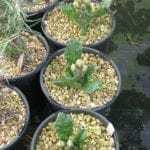 Cuttings for growing strawberry bushes may also be rooted year round and the plant itself is easy to divide and multiply. Water the young plants well and continue to water moderately thereafter. Otherwise, this slow to moderately growing bush is reasonably drought tolerant. Strawberry bush euonymus needs only light fertilization. 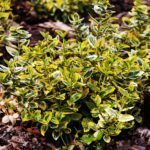 Some resources report that this varietal is prone to the same pests (such as scale and whiteflies) as other Euonymus plants, like burning bush. What is certain is that this plant is intoxicating to deer populations and they can indeed decimate the foliage and tender shoots when browsing. The strawberry bush is also prone to suckering, which may be pruned or left to grow as in nature. Read more articles about Strawberry Bush.